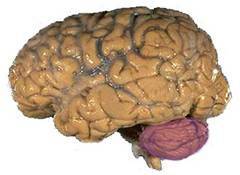 Medical research indicates that excess weight impairs brain function. Intelligence is a person's capacity to receive, apply, and retain information. “ It is bad for your blood pressure, knocks years off your life and is a strain on your heart. Now scientists have discovered that gaining weight lowers your intelligence. Sleep problems have a negative impact on mental performance. Adequate sleep, on the other hand, improves processes such as memory, attentional ability, alertness, mental insight and creativity. Weight loss causes memory improvement.